The test pressing was made after the Nirvana catalog was transferred from Original Recordings Group to ORG Music, which seems to have been formed in late 2010. This is the third pressing on any of the ORG labels, or the second ORG Music pressing. The same generic labels were used on both sides. 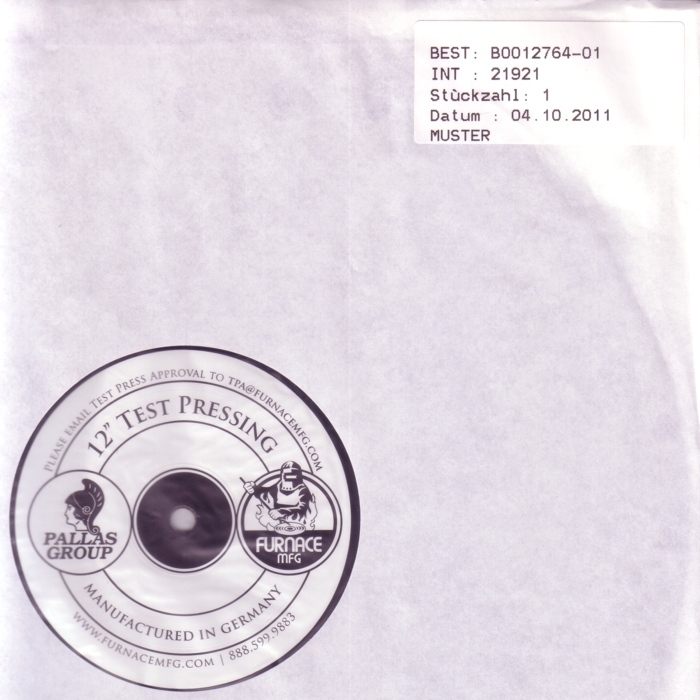 The test pressings came in white die-cut inner sleeves with a sticker in the upper right corner, housed in a plastic outer sleeve. The first number on the sticker is the order number. The second number is the internal pressing plant job number, which is also found in the matrix codes. "Stückzahl" is German for quantity, while "MUSTER" is German for sample. The manufacturing history is the same as the previous pressing. The records are identical as they were pressed using stampers made from the same mother plates. According to an eBay seller who sold multiple sets of Pallas test pressings, ORG Music sent several to the music press for promotion. Supposedly 20 test pressings were made, but it is not clear how that relates to the two different test pressings from 2010 and 2011.